The Dolphins are rounding out their preseason roster with the addition of several members of the San Antonio Commanders. Running back Kenneth Farrow appears to be among several former San Antonio Commanders from the AAF who will be joining the Miami Dolphins. The Miami Dolphins front office is busy as the team and coaches continue to work through the offseason training program. The team has announced the signing of former Cleveland Browns wide receiver Ricardo Louis and receiving the league’s allocation of Brazilian defensive tackle Durval Queiroz Neto, but the roster moves have not stopped there. While they are not official - and thus no announcement from the team - the Dolphins are adding running back Kenneth Farrow from the San Antonio Commanders of the Alliance of American Football (AAF) and nose tackle Joey Mbu, who also played for the Commanders. The Miami Herald’s Barry Jackson reported the two signings. The Dolphins are also expected to sign defensive end Jayrone Elliott, another former member of the Commanders, according to NFL Network’s Ian Rapoport. 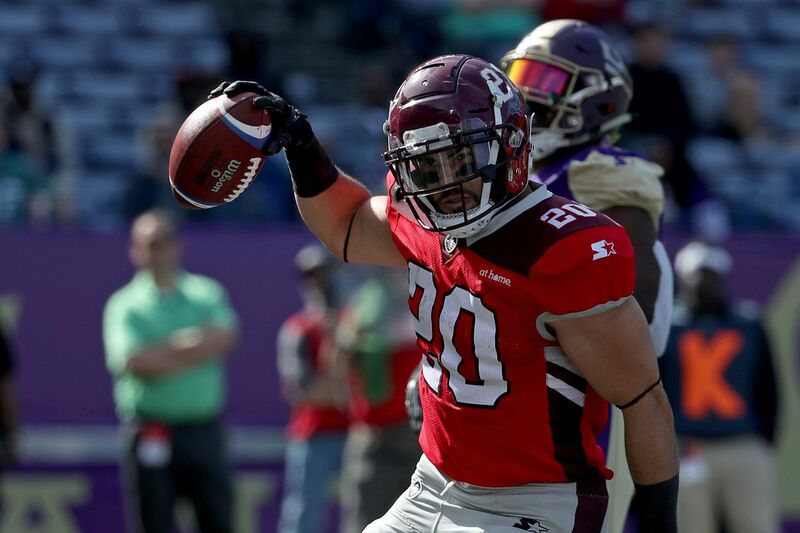 Elliott led the AAF in sacks in their unexpectedly short season and was expected to have multiple teams interested in signing him. Once he visited the Dolphins, however, the team was not letting him out of the building without a contract. To continue with the theme of signing former Commanders, Miami is also expected to sign outside linebacker Tyrone Holmes, according to Cole Thompson, who previously wrote for the Commanders. The Dolphins are also expected to sign offensive lineman Michael Dunn from the AAF - but he actually played for the Birmingham Iron and not San Antonio. Farrow was undrafted out of Houston in 2016, signing with the then San Diego Chargers. For San Diego in his rookie season, Farrow appeared in 13 games with two starts, carrying the ball 60 times for 192 yards. He ended the season on injured reserve with a shoulder injury, then, after San Diego’s move to become the Los Angeles Chargers, he missed all of the 2017 season on injured reserve. He spent the 2018 season bouncing on and off the New England Patriots practice squad. Mbu was undrafted out of Houston in 2015, signing with the Atlanta Falcons. He spent most of his rookie season on the practice squad, but was promoted near the end of the season, appearing in two games with four tackles. He started 2016 on the Falcons practice squad but was released and signed with the Washington Redskins’ practice squad. After being cut at the end of the 2017 preseason, Mbu joined the Indianapolis Colts practice squad, then was promoted to the active roster mid-season and appeared in seven games, recording three tackles. He started the 2018 preseason with the Green Bay Packers, but was among the final roster cuts. An undrafted free agent out of Toledo in 2014, Elliott joined the Green Bay Packers, where he appeared in 38 games in three seasons, recording 47 tackles with four sacks, one interception, one forced fumble, and one fumble recovery. He was traded to the Dallas Cowboys in 2017, appearing in one game. Elliott spent time with the New Orleans Saints during the 2018 offseason, but was cut at the end of the preseason. Holmes was a sixth-round selection in the 2016 NFL Draft by the Jacksonville Jaguars, but was waived at the end of the preseason. The Cleveland Browns claimed Holmes off waivers, bouncing between the practice squad and the active roster throughout move of the year before being waived in December and joining the Kansas City Chiefs practice squad. After being cut by Kansas City at the end of the 2018 preseason, Holmes signed with the Los Angeles Chargers practice squad at the end of the 2018 season. Dunn was a walk-on at Maryland, where he ultimately started 48 games. He was signed as an undrafted free agent in 2017 with the Los Angeles Rams but was released as part of the team’s final roster cuts that year. He re-joined the team in the 2018 offseason, but was waived prior to Organized Team Activities. He then joined the Jacksonville Jaguars, where he spent time on the team’s practice squad last year. The addition would reunite Dunn with former Jaguars offensive line coach Pat Flaherty, who now holds the same position in Miami. Miami officially has 60 players on their roster, with 30 open spots. If all of these signings become official, Miami will still have 25 spots to fill before they reach the NFL’s preseason limit of 90 players.